Summer racing meet kicks off on July 20; Whitney set for August 4; Travers' post time set for August 25. For Saratogians suffering through this unseasonably cold winter, there are brighter (and altogether warmer) days on the horizon. 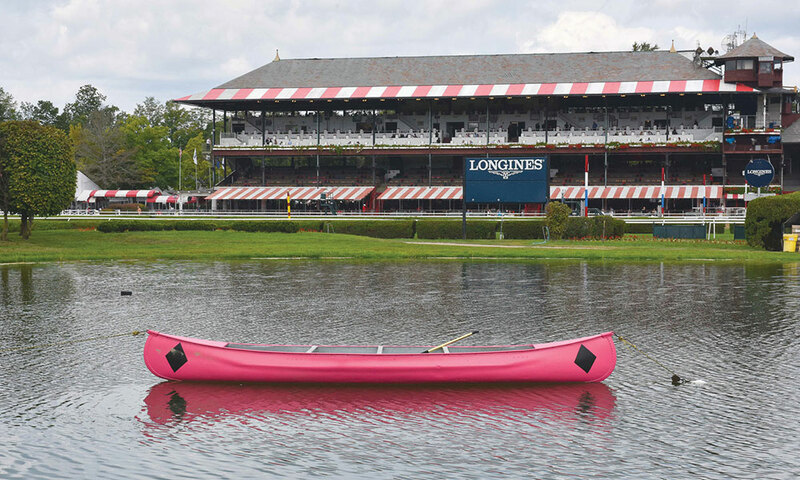 The 2018 Saratoga Race Course has released its schedule with all the dates of the top races, which means you can now start planning your summer stay-cation schedule around when Travers weekend is. This summer’s 40-day meet officially kicks off on Friday, July 20 and will feature 69 stakes races worth nearly $18.8 million. As always, the meet will be highlighted by the Grade I, $1.2 million Whitney on Saturday, August 4; and the fabled “Mid-Summer Derby,” the Grade I, $1.25 million Travers Stakes, on Saturday, August 25. Opening weekend action includes a pair of Grade I stakes races, with the $500,000 Diana for turf fillies and mares on Saturday, July 21; and $300,000 Coaching Club American Oaks for three-year-old fillies on Sunday, July 22. Also included in the weekend’s fare: the Grade III, $150,000 Schuylerville and the Grade III, $150,000 Lake George on opening day. 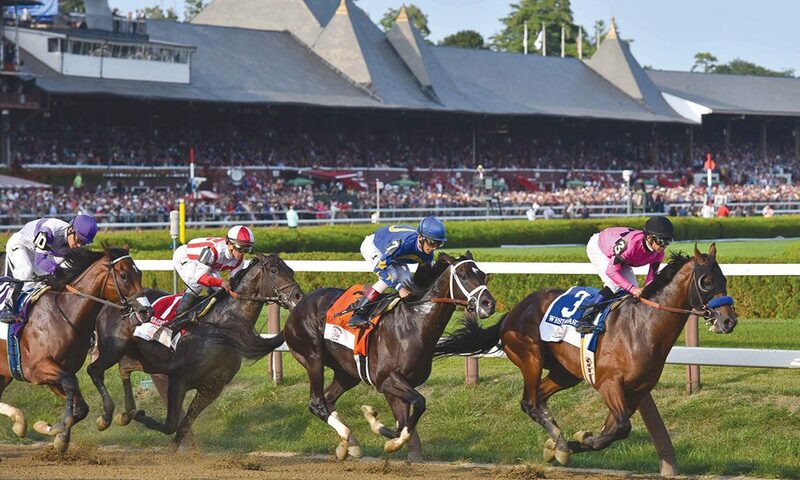 The stakes are high on July 28, with the Grade II, $600,000 Jim Dandy revving up local Travers prep; along with the Grade I, $350,000 Alfred G. Vanderbilt Handicap for sprinters at the end of their career; the Grade II, $250,000 Bowling Green; and Grade III, $200,000 Amsterdam for three-year-olds. Co-starring with the Whitney on August 4 will be the Grade I, $500,000 Longines Test for three-year-old fillies and a trio of turf stakes: the Grade III, $200,000 Waya for fillies and mares; the $100,000 Lure; and the $100,000 De La Rose for fillies and mares. The Grade I, $500,000 Fourstardave Handicap will be held the following weekend (August 11); and the Grade I, $600,000 Alabama on the following Saturday (August 18). Of course, Travers Weekend promises to be jam-packed with incredible racing—and might even feature a Triple Crown-leg winner or two. Besides the $1.25 million gem, five other Grade I stakes races are on tap for August 25: the $1 million Sword Dancer Invitational; the $700,000 Personal Ensign; the $500,000 Ballerina; the $600,000 Forego; and the $500,000 H Allen Jerkens Memorial (formerly known as the King’s Bishop). That day will also see the running of the Grade II, $400,000 Woodford Reserve Ballston Spa. All good things must come to an end, though. Closing weekend begins on Saturday, September 1, with a group of graded stakes races: the Grade I, $750,000 Woodward and Grade I, $350,000 Spinaway; followed by the Grade III, $300,000 Saranac and Grade II, $250,000 Glens Falls. The meet ends with three featured races: the Grade II, $250,000 Prioress for three-year-old fillies on Sunday, Sept. 2; and the Grade I, $350,000 Hopeful and Grade II, $250,000 Bernard Baruch Handicap on Monday, Sept. 3.